Muse’s Matt Bellamy has been promising for years that the band’s next album would be more “stripped back.” I, for one, am thankful he did not deliver on that promise for their latest release, Simulation Theory. Their 8th studio album is an updated Muse classic, and it is anything but stripped back. Try as Bellamy might to write soft ballads for intimate, acoustic venues, I have a feeling that Muse are predestined to create powerfully charged anthems that are at home in the arena circuit. The narrative of the album is one we’ve seen from Muse before, but with a modern twist. 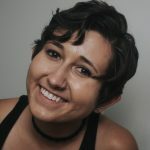 Simulation Theory loosely follows a protagonist becoming aware that he’s been living in a simulation. He begins to resist and eventually rises up against his oppressor, or in this sense, creator. Next comes “Propaganda,” a stomping, groovy tune with industrial undertones. The introduction of steel guitar, juxtaposed against distorted vocals, is a welcome and exciting addition to the album. On “Break It To Me,” Muse are fully embracing their experimental side. This Prince-inspired track features vocal runs and exotic melodies similar to those on “United States of Eurasia.” In contrast, “Something Human” features the plucky synth evocative of a quiet summer hit. Bellamy’s voice on this track takes a different tone than on the rest of the album. It’s soft and gentle with hopeful lyrics, the likes of which we haven’t heard since “Unintended” off their debut album. Protest songs “Get Up and Fight” and “Blockades” deliver on the groundwork laid by the previous tracks. The intro vocals on “Get Up and Fight” sound like an attempt at a top 40 hit but seem out of place on the album. While disorienting at first, they demonstrate Muse’s ability to experiment without taking themselves too seriously. “Blockades,” arguably one of the strongest songs on the album, has hints of previous hits like “Bliss,” “MK Ultra,” and “Knights of Cydonia.” This epic song is an electrifying and exciting demonstration of where Muse has come from and what they are capable of now. Closing track “The Void” is an orchestral-heavy outro. Although the melody invokes a dark and ominous tone, the lyrics deliver a quiet message of hope. Singles “Dig Down” and “Thought Contagion,” which were released over a year before Simulation Theory and don’t quite fit its narrative, find a home on the album. Both songs were written in the aftermath of Trump’s election and were a way for Bellamy to process how the 45th president came to power. “Thought Contagion” features eerie guitar riffs and a catchy chorus. The lyrics center around how power hungry individuals use fear as a way to manipulate the masses into supporting a harmful agenda. “Dig Down” offers a different message and song structure. Opening with an undeniably catchy synth riff, followed by uplifting strings, it is less complex in relation to the rest of the album. Here, Bellamy acknowledges our struggles and fears of this unstable time. With the help of a soaring, memorable chorus, he encourages us to continue to resist against oppression. Not included on the regular version of the album, but absolutely worth mentioning, are the alternative versions of several songs featured on the Super Deluxe versions. In particular, “Pressure” featuring the UCLA Marching Band is a fun, catchy remake that works so well that it rivals the original. 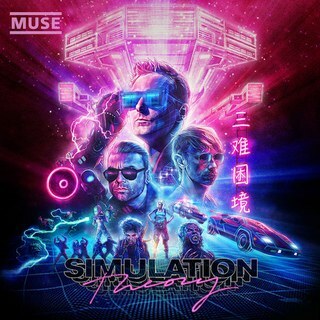 Simulation Theory sounds like the soundtrack to a mash-up of classic 80’s science fiction films. The themes and even the album artwork seem to be pulled wistfully from that decade. Complete with distortion and synthesizer weaved in to fit the narrative of the songs, it’s a Muse album for the digital era. The album features strong vocals from Bellamy and demonstrates the fullness of his impressive vocal range. Although lyrically weaker than past Muse records, it is their strongest album of the past decade. It’s encouraging that at this stage in their career, Muse continue to experiment with new sounds and push their boundaries.